Trousseau Bridal has carefully chosen bridal collections and designers whose creations are truly exceptional, have impeccable construction, and unparalleled quality. Our collections are exclusive to our boutique in Central Ohio, ensuring each bride a truly special bridal shopping experience. Modern, luxurious, radiant. The THEIA bridal collection combines sophisticated and elegant styling with luxurious silks, European brocades, laces, and prints. THEIA’s exquisite beading and embroideries are created by some of the finest couture studios in the world. Each piece is meticulously stitched together to create exquisite gowns and cocktail dresses that flow beautifully around the body. The woman who wears THEIA will be filled with confidence knowing her dress fits wonderfully and looks beautiful on her, thus naturally allowing her inner goddess to shine. THEIA collection starts at $1,150. Glamourous, captivating, alluring. A family-owned business for over 30 years, Kenneth Winston produces some of the most beautifully constructed, high quality gowns in the bridal fashion world. Brides will connect not only with the brilliance of each gown and its design, but the structure and quality of each piece. Made with the highest quality materials and known for their beading and lace, Kenneth Winston gowns are the perfect marriage of affordability with couture taste. 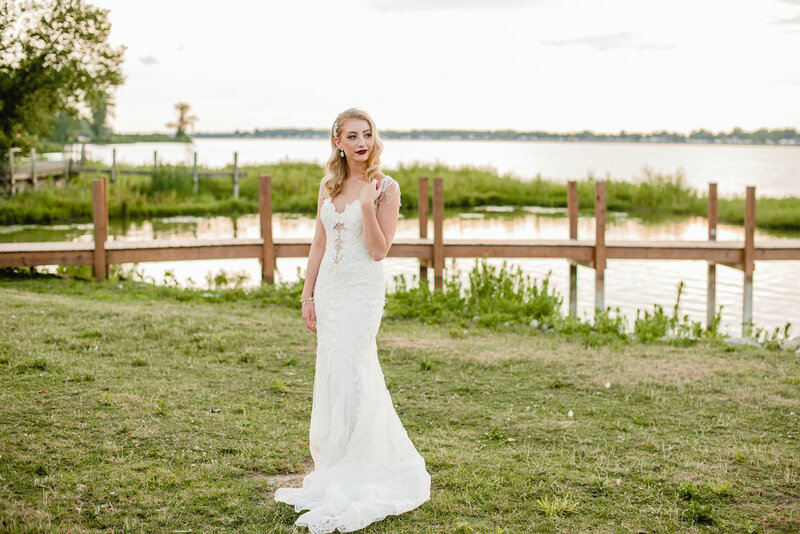 Trousseau Bridal is over the moon to be the exclusive retailer in Central Ohio. Kenneth Winston collection begins at $1150. Ethereal, elegant, enchanting. The Anais Anette bridal collection features gowns with whimsical details and touches that resonate with modern, vintage, and bohemian brides. The designers and owners, Magdalena and Karolina, sisters, are children of a dressmaker and tailor. Their attention to detail pays homage to their background with brilliantly placed beading, perfectly matched lace, and striking, unique design. Trousseau Bridal is thrilled to be the only boutique in Ohio to carry the Anais Anette bridal collection. To learn more about Anais Anette and see the rest of their collections, please click on the photo above. Anais Anette gown collection starts at $1800. Sweet, free-spirited, whimsical. Astrid & Mercedes bridal is the newest collection by couture designer Lea-Ann Belter. Inspired by her two nieces, Lea-Ann found she couldn't stop drawing and sketching after spending time with the two of them. Soon enough, Astrid & Mercedes was born. Featuring designs that combine new and old, hint of playfulness with femininity, this collection speaks to the unconventional bride. Astrid & Mercedes gowns are patterned, draped, and hand sewn in the Lea-Ann Belter atelier in Toronto, and make of all natural silks, light tulle, and gorgeous laces. Click on the photo or logo to view the full collection. Astrid & Mercedes gowns start at $1800. Captivating, sophisticated, feminine. Eve of Milady has been a leading designer in the bridal world for over 45 years. We are privileged to carry the Boutique collection by Eve Muscio, founder and designer of Eve of Milady. Eve uses the finest fabrics from France and Italy, and is known for her beading, embroidery, and unique scroll lace designs. The Boutique Collection by Eve of Milady starts at $2900.